A contested Cherry Hill Township Council election will take shape this fall as one Republican candidate and one Democratic candidate have filed to run for their party’s nomination for township council in New Jersey’s June 7 primary election. According to the Cherry Hill Township clerk’s office, Carolyn Jacobs will run uncontested for the Democrat Party’s nomination for Cherry Hill Township Council. Jacobs was appointed to council last January after the resignation of former Councilwoman Susan Shin Angulo. Rick Short is running uncontested in the primary for the Republican nomination. The winners of the primary election will move on to November’s general election. The winner in November will be elected to township council for one year to fill the unexpired term of the seat formerly held by Angulo, who resigned at the end of 2015 after being elected to the Camden County Board of Chosen Freeholders. The seat will be up for election again for a full, four-year term in 2017. 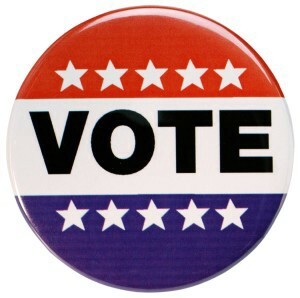 Primary elections in New Jersey will take place on Tuesday, June 7. Voters must be a registered party member to vote in a party’s primary election. Voters who are voting in a primary election for the first time are permitted to declare their party affiliation at the polls. For information on how to register to vote and to find your polling location in Cherry Hill Township, visitwww.cherryhill-nj.com/378/Voting-Information.